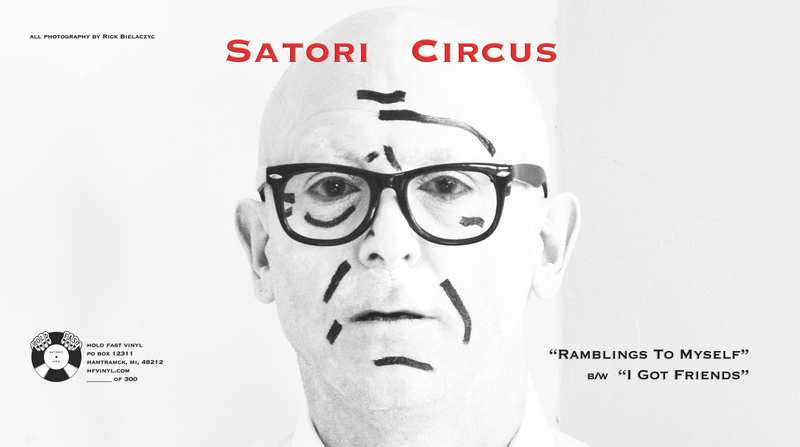 It’s time to celebrate the 30th anniversary of one of Detroit’s finest, and most original, artists with his first vinyl release – Satori Circus’s “Ramblings to Myself #1” b/w “I Got Friends”. 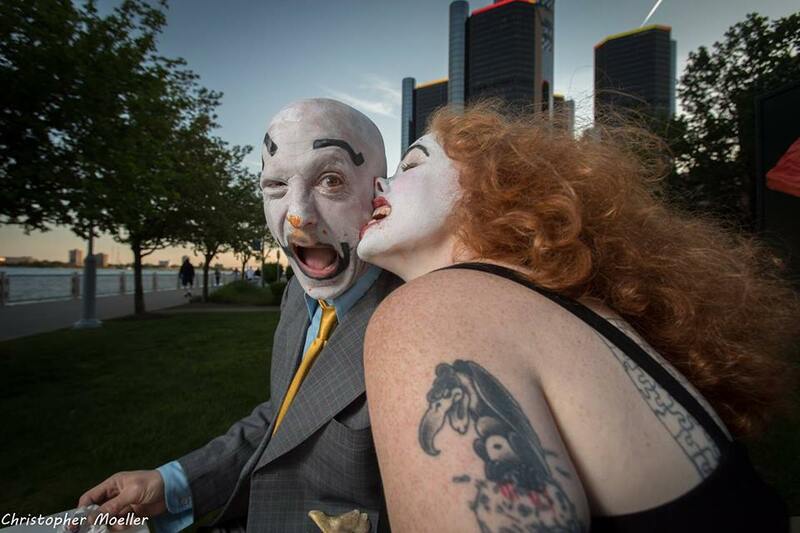 Satori Circus started in September 1988 when Russ Taylor – influenced by a mix of David Bowie, cabaret performers, and The Three Stooges – started his own version of “performance art” in Detroit. “Performance art” is often seen as something “pretentious”, “ponderous”, and all other manner of “p words”. 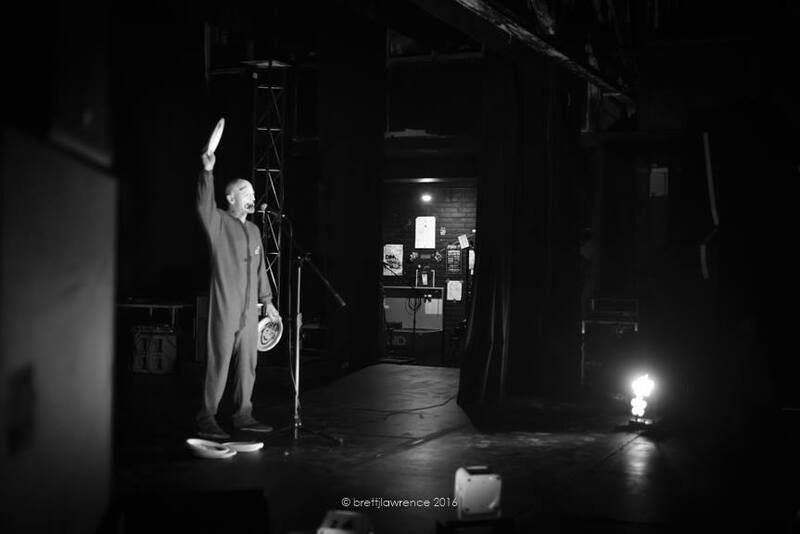 But, as Satori Circus, Taylor has created a body of work that makes him a favorite in one of the most unpretentious towns in America and on stages through out the country. This 30th anniversary release showcases two fan favorite songs from two different performance art shows. “Ramblings to Myself #1” is from a full scale performance art piece titled, “Twilight Barks” (2012), depicting an individual’s lonely existence on their birthday. “I Got Friends” is from another full scale performance art piece titled, “Child-Proof” (2008), where the audience follows an imaginative seven year old boy navigating his favorite day of the week, Saturday. 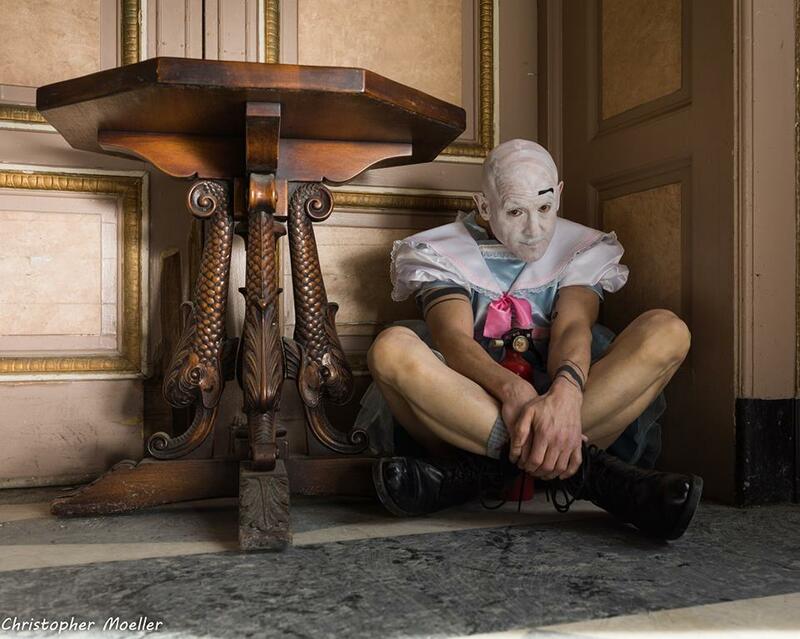 Although in white face, Satori Circus is not a clown or a mine or a reject from the Gathering of the Juggalos – he is his own thing, a uniquely Detroit thing, and something that has brought wonder, awe, tears, and laughter to people from age 8 to 800 (maybe, we didn’t card them). 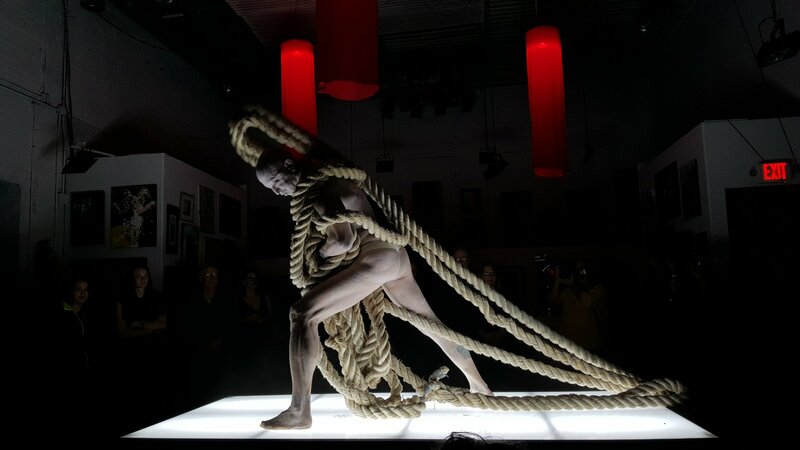 Satori Circus’s full scale performances aim to engage audiences around an idea – such as family, home, the life of the artist, the isolation of modern life – through the use of theatrical concepts and music. 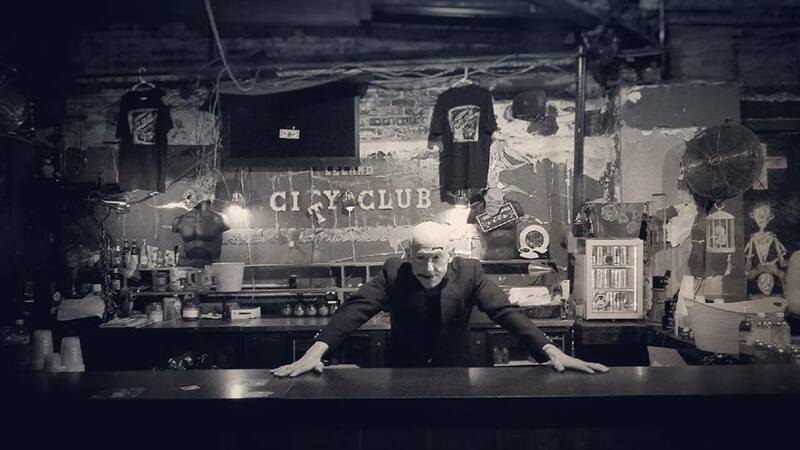 Since the late 1980s, Taylor has been refining his work, studying with notables at the University of Michigan and Yale, and pushing himself to go further while still taking time to perform often with friends in the burlesque community as well as a guest player with Detroit’s Theatre Bizarre. 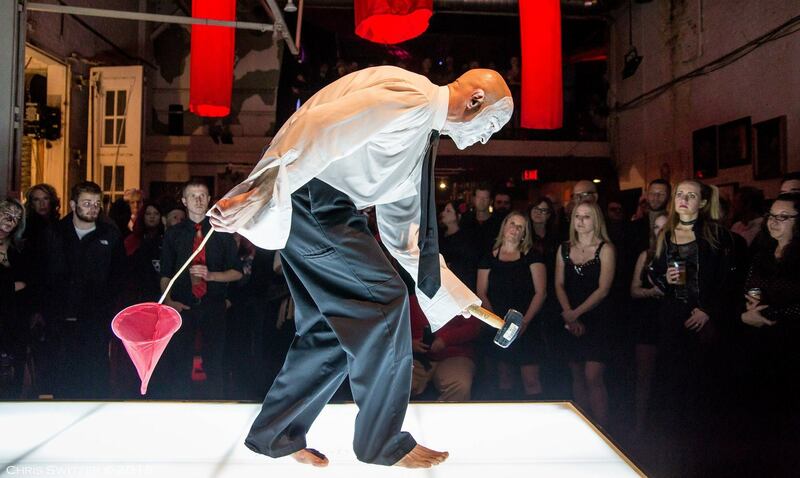 On his 15th anniversary in 2003, the history of Satori Circus was explored by The Metro Times – read it here. Hold Fast is proud to issue this special 7 inch to honor the 30th anniversary of Detroit’s performance artist par excellence – Satori Circus! “Ramblings to Myself #1” b/w “I Got Friends” is available in a special hand-number edition totaling only 300 pieces in this first pressing. 7 inch on white vinyl with double-sided gatefold cover. Liner notes by Satori Circus. Limited to 100 copies on white vinyl in this first pressing. 7 inch on black vinyl with double-sided gatefold cover. Limited to 200 copies on black vinyl in this first pressing. Cover Printed by Rocket Printing – Royal Oak, Michigan U.S.A.
All Songs Recorded, Produced, Mastered by Tim Suliman at Jitney Studios – Dearborn, Michigan, U.S.A. Mastered for Vinyl by David Feeney at Tempermill Studios – Ferndale, Michigan U.S.A.
Vinyl Pressed at Archer Record Pressing, Inc. – Detroit, Michigan U.S.A.